Four images of the 'new' bandstand in Corporation Park. 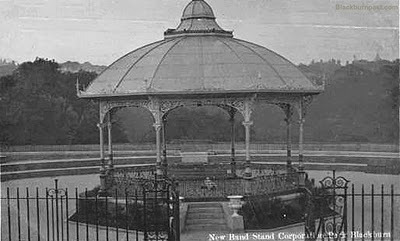 This bandstand replaced the original one from 1857. Not sure when this one was erected, but it was before the 1st World War, as the black & white image (3rd down) was taken in 1910. 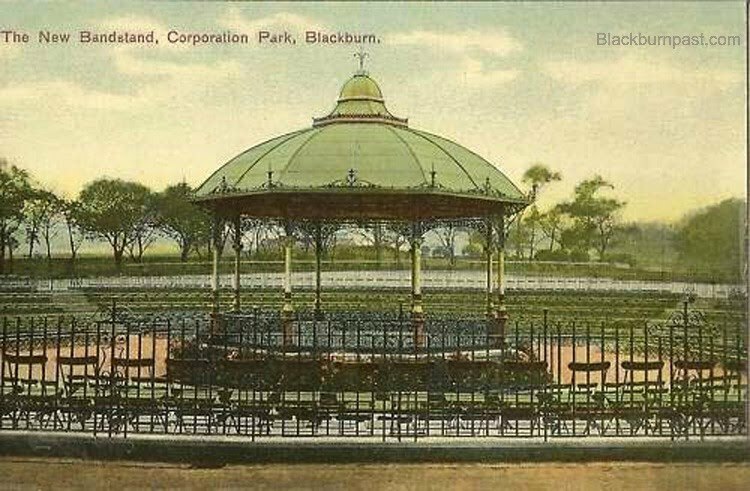 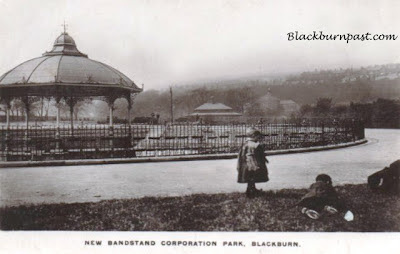 Both the old and the 'new' bandstands (I think) were situated on the west side of the park, on the green opposite QEGS. In the top photo, you can see the pavillion and conservatory in the distance. 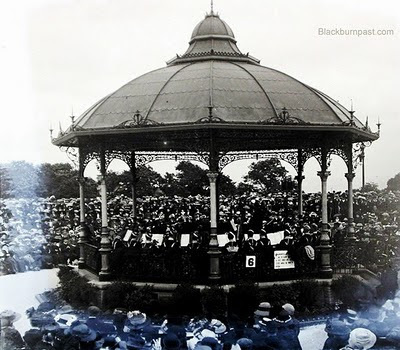 The bottom image is from a damaged slide, but gives an indication of what the bandstand looked like in its prime, with full band and audience.